Happy Friday friends!!!! I am so excited to link up with some of my favorite blogging friends, Andrea, Narci, and Erika for Friday Favorites! Today I am sharing some of my favorite gifts for girls! And if you still need a gift idea for a hostess, I shared some fun ideas on that last week. I found this sweater at Target, on sale for $25 and I love it! It's so soft & cozy, perfect with leggings and comes in 6 colors! There is really nothing better than new Lego sets on Christmas. Staying in PJ's all day and building Legos is my favorite Christmas pastime! These are two of my favorite sets. She is also into all things girly and thought this looked like something she would love. Ella is a planner. She loves to write things down, use pretty markers and stickers..... a girl after my own heart! The Happy Planner is the cutest thing for her. You can get a planner and most accessories for it at Michael's or Hobby Lobby. My girl also loves all things for decorating her room. She loves to change out her blankets and pillows, so she loves getting new stuff for her bedroom. I love the simplicity of this black and white pattern and you can never have enough fuzzy blankets! Bean bag chairs are a fun idea! I love these corduroy ones and they come in 5 colors! The kids got bean bag chairs for Christmas last year and love cuddling up in them to read. One of these light up marquees signs is perfect for her bedroom. I can see her filling in all sorts of fun messages on this board! If you travel with your kiddos or even if they take little weekend trips to Grandma's, a carry-on luggage piece is a fun gift idea. I always like to give some practical gifts too. New slippers are a must...and these sparkly ones..LOVE! How adorable is this pom pom scarf? I just love this too & kind of want one for myself! Ella recently bought this adorable mini backpack. I guess mini backpacks are a pretty cool thing to have as a 5th grader. A good gift idea! Cozy PJs are also a must every year in this house. And who isn't dreaming of a snow day??? Books are a great idea for a gift. My kids love to read and it's a perfect time to stock up on some great books. I have heard amazing things on this book and the message behind it. Ella has also read and loved this series. And even though I said I was not bought into electronics, she did get a Kindle a few years ago. 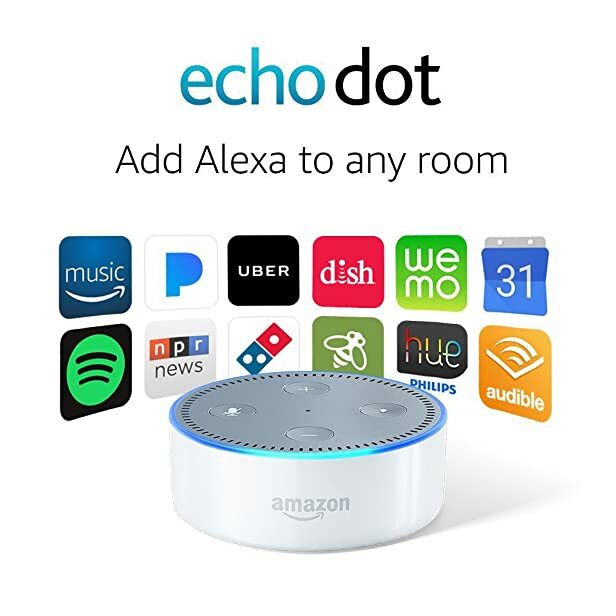 I think she would love to connect the EchoDot to it. She loves talking to Alexa and asking her to play music or what the weather will be! Gift Cards are always a hit too with my shopper!!! Your girl sounds like my girl! This year she's had the hardest time thinking of things she really wants to have. But a few things she did mention - plush blanket, bean bag chair, games, and books! So you are the tween girl whisperer my friend! Have a great weekend!